Fashion for Peace at New York Fashion Week 2019 is a collaboration between Isha Foundation and renowned leading-edge designers to promote conscious and sustainable fashion. This special event highlights Sadhguru’s initiative: promote natural textiles, revitalize the traditional crafts that are on the verge of extinction, and raise awareness about the impact of the fashion industry on health and the environment. The exclusive looks created by each designer showcase handmade natural textiles, woven as they have been for thousands of years. Fashion For Peace celebrates the convergence of consciousness, creativity, community and commerce. Ranked amongst the fifty most influential people in India by India Today, Sadhguru is a yogi, mystic, visionary and bestselling author. Sadhguru has been conferred the Padma Vibhushan by the Government of India in 2017, the highest civilian award of the year, accorded for exceptional and distinguished service. Probing and passionate, insightful, logical and unfailingly witty, Sadhguru's talks have earned him the reputation of a speaker and opinion-maker of renown. With his astute and incisive grasp of current issues and world affairs, as well as his unerringly scientific approach to the question of human well-being, he has been a primary speaker at the United Nations World Headquarters, a regular at the World Economic Forum, and a special invitee at the Hindustan Leadership Summit, Australian Leadership Retreat, Indian Economic Summit and TED. He has also been invited to speak at leading educational institutions, including Oxford, Stanford, Harvard, Yale, Wharton and MIT among others. With a celebratory engagement with life on all levels, Sadhguru's areas of active involvement encompass fields as diverse as architecture and visual design, poetry and painting, ecology and horticulture, sports, music and aviation. 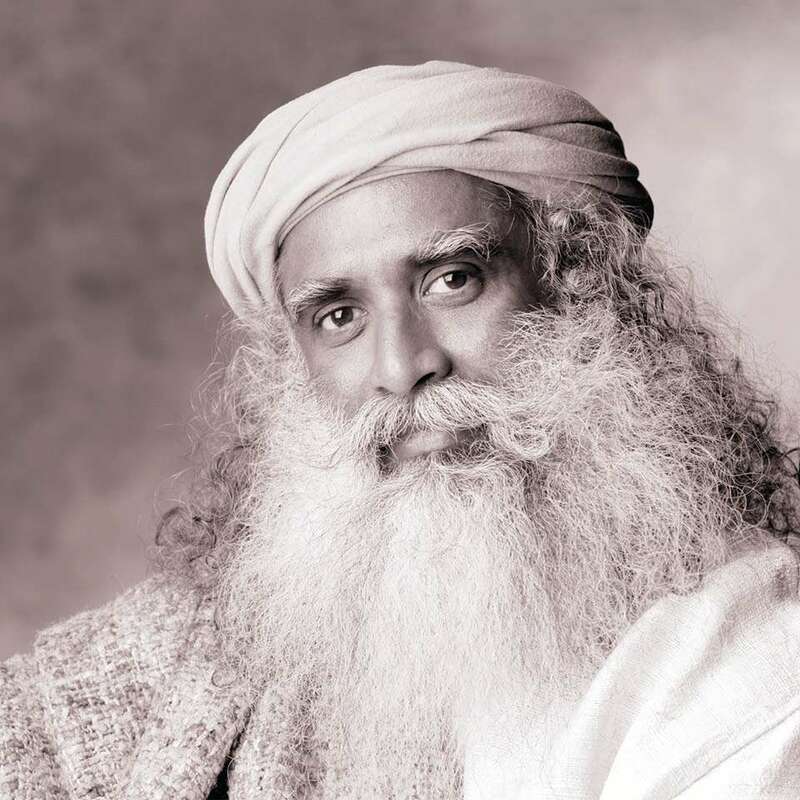 Three decades ago, he founded Isha Foundation, a non-profit organization with human well-being at its core commitment, supported by over seven million volunteers in over 250 centers worldwide. Isha Golf Jaunt is an annual charity golf event where corporates and golf lovers come to the links to join Sadhguru in sport and in the spirit of giving. As they show off their talents on the course, these players also provide young children a chance to someday compete in the Indian economy. Read more about the Diwali celebrations that happened at Isha Yoga Center in the presence of Sadhguru. Yoga, Festivals and Fireworks... Oh my! Why is Dussehra Celebrated Now?